There may be a couple of month’s left until we ring in the New Year, but that doesn’t mean we can’t start getting our holiday plans for 2015 in motion. And for those who are looking for a little inspiration when it comes to the list of ‘must see’ destinations to tick off their bucket list as the new year rolls around, they need look no further than Lonely Planet’s Best in Travel ranking for 2015. The top ten listing from one of the world’s leading travel guide publishers cherry picks the hottest travel destinations for 2015 on globetrotters’ behalf, leaving them with little more to do than hitch up their backpacks in readiness for the next travel adventure. 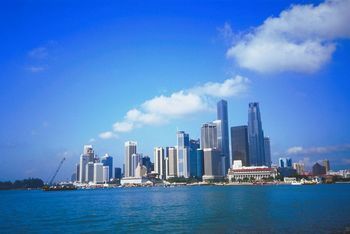 Lonely Planet also points out that travellers setting their sights on Singapore in 2015, can expect to be dazzled by an impressive array of new attractions as the country celebrates its 50th anniversary. If you are heading off on an overseas adventure in the coming weeks and months, it is important to organise adventure travel insurance in advance.